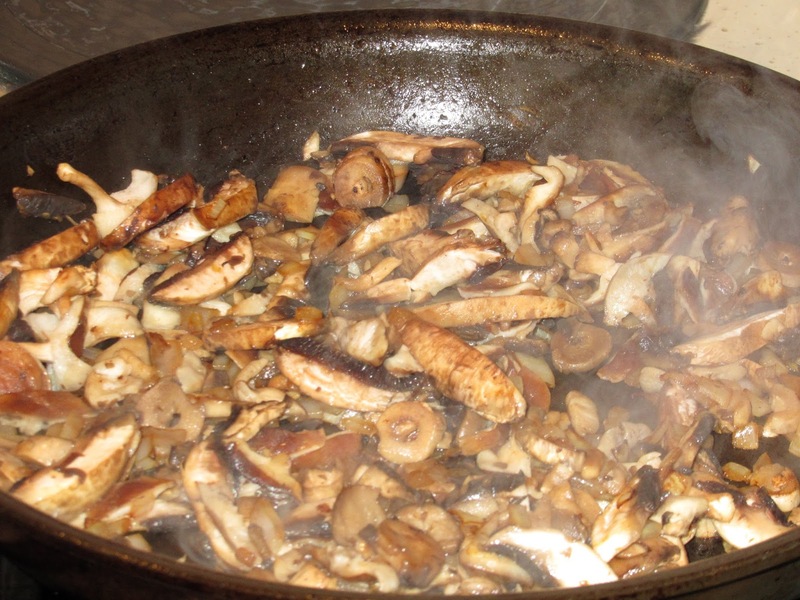 I've always thought that one of the nicest things about any sort of marsala variation, was the amazing mushrooms. Since I don't eat meat now, I wanted to replicate the dish without losing any flavor. I found that a meaty mushroom, such as a shitaki, works very well and it is really tasty. It really does have that wonderful marsala richness without the meat. I like to point out that if you are not avoiding dairy, then feel free to substitute dairy versions for any ingredient. Parmesan Cheese, I like the Go Veggie brand. Melt the butter in the sauté pan and add the garlic and gently sauté, then add the mushrooms and salt and pepper and cook until mushrooms are softened. Add the green onion and the lemon, sauté until incorporated and then add the marsala wine and increase heat until the mixture thickens. Finally, add the creamer and cook until it thickens. Serve over pasta or noodles with Parmesan.